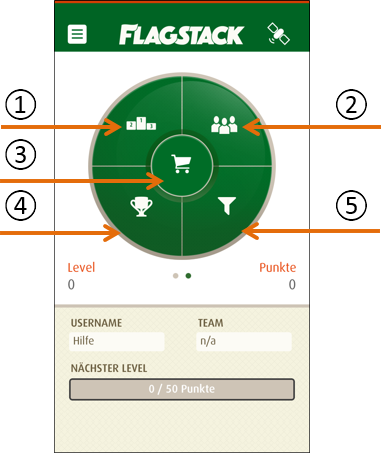 FLAGSTACK is a game based on GPS coordinates which can be played worldwide & for free after registration. Players are searching for physical or virtual items on the map using the app on mobile device. These items are predominantly bound to GPS coordinates. If players arrive at these coordinates, these items can be gathered and players get credited virtual points on their account. Items remain on the map for other players, the collected items are highlighted as "found" in player's account. The more points a player collects, the higher rises his player's level. 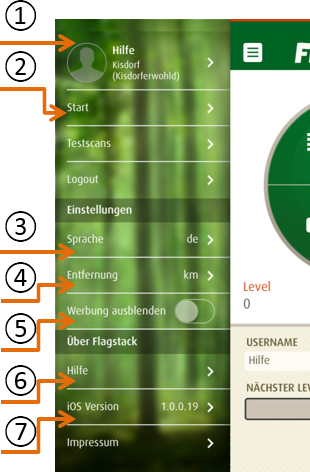 In the lower level few points are required to level up. The required number of points rises with every achieved level. 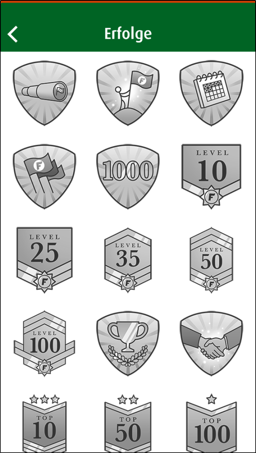 gray: not yet accomplished – click on badge to see the requirements. colored: already accomplished achievement – congratulation! Would you like more? Would you like to test your strategic skills? Then look for some like minded people and form a successful team with three to five players. Any player with level 25 or above can participate in the Team Battle and join a team. You can either apply to join an existing team or you will be invited by another team leader. You can find all the required features on the website http://www.flagstack.net/teams. 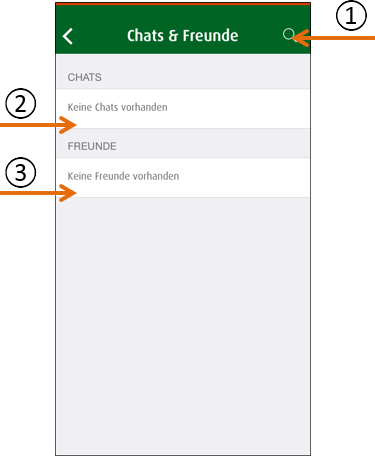 If a team has been successfully created, the Team leader can immediately invite other players (min. level 25) into the team. A team that is ready for action consists of at least three and at most five players. Teams with only one or two players are playing solely for their chosen faction during the active team battles. 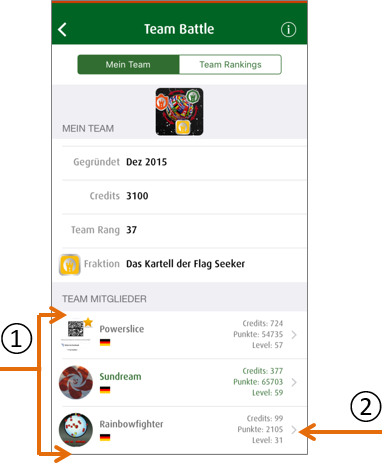 In the transfer period (transfer window, every 1st up to and including 4th day of the month) between team battles any team member can leave the team, new players can join the team and the role of the team leader can be transferred to another team member (same requirements as the original team owner). 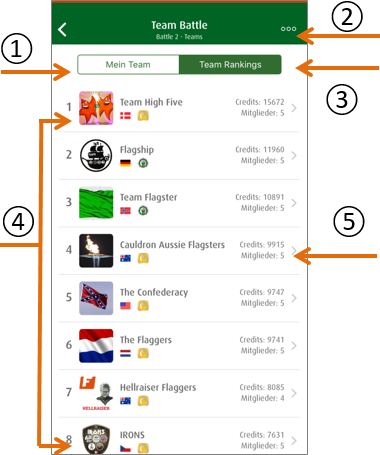 The location of your own HQ flag (team leader) and the HQ-clone flags (team members) can be changed repeatedly among the 10 location options until the Team flag or HQ-clone flag has been verified and the team battle starts. 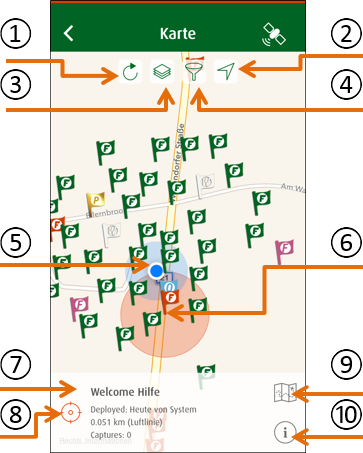 The location options are the 10 most frequent GPS locations where the app has been started. 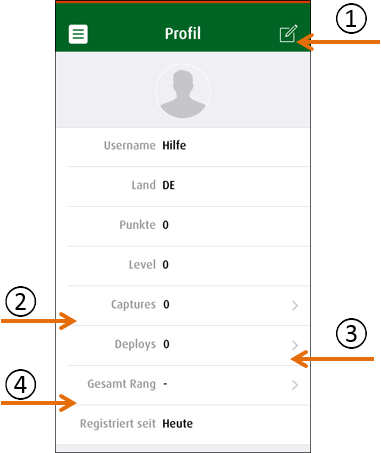 The team leader must verify the location of their HQ flag by a security scan (capture) after creating the team and choosing the location. All other team members also have to verify the locations of their HQ-clone flags through a security scan (capture) before the start of the team battle. All team flags, HQ and HQ-clones, of a team must be confirmed before the start otherwise the entire team cannot participate in the battles. It’s best to remind each other to ensure everything will be finalised in time. The team flags of other players and other teams will only be visible on the map once the team battle has started. Incidentally, an HQ-clone flag is called clone flag, because it is an exact copy of the HQ flag - on the map it looks exactly the same. 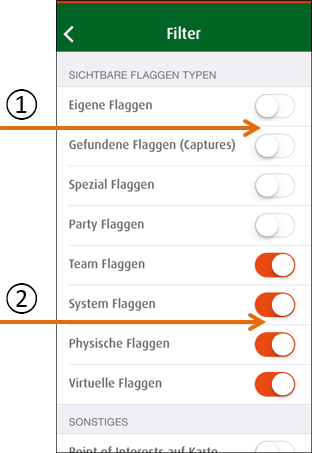 That means, if one of the (up to 5) team flags has been captured all team flags of this team will automatically change visually (faded) and the chosen countdown starts. 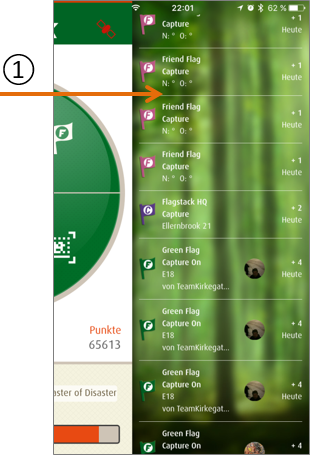 A Team Flag can only be defended at the location where the initial capture has taken place, however this can be done by any team member of the attacked team. In Flagstack three large factions are facing each other. On the one hand the noble Alliance and on the other hand the powerful Syndicate. The Cartel is between those factions. Pick your affiliation wisely. The choice of the “Alliance” and “Syndicate” factions is final for the team (however not for the player)! Only the faction of "Cartel of Flag Seeker" can be changed to another faction once (1x) which will then finalise the faction for that team. At the moment the actual faction affiliation has no advantages, disadvantages or special meaning - they will be integrated as further developments for Flagstack. How do I kidnap another team flag? For example, if team A captures the HQ flag or a HQ-clone flag of team B, each team member of team B receives a message about it. Now team B has 60 minutes to capture (defend) that particular team flag themselves. This will prevent the kidnapping attempt. If the 60-minute countdown has run out, team A will kidnap the team flag of team B. Both actions (defense and kidnapping) will be rewarded with credits. It does not matter which one of the team flags (HQ or HQ-clones) has been kidnapped, all the team’s flags will automatically change visually on the map (faded). Alternatively, you can use the Time Bandit (reduction in the countdown time of 10, 20 or 30 minutes, for 100, 200 or 300 credits, taken from your own team credits, respectively) or the Nightmare (immediate kidnapping with no opportunity to defend, where 1,000 credits will be taken from your own team credits). After capturing (kidnapping attempt) a screen pops up where you can choose one of these special tools or just close the window with the "X" without any selection. 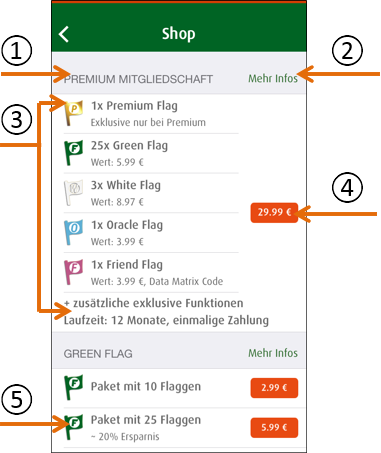 Between any of your personal kidnapping attempts, you always have to capture a minimum of 10 flags; the flag type does not matter (except team flags). Of course, other team members can start a kidnapping attempts of other teams immediately afterwards, but then they also have to collect the minimum 10 flags themselves before the next attempt. Team A can only try once (1x) to kidnap the flag (HQ flag or HQ-clone flag) within 12 hours from team B, a new attempt can only be started after expiration of 12 hours. 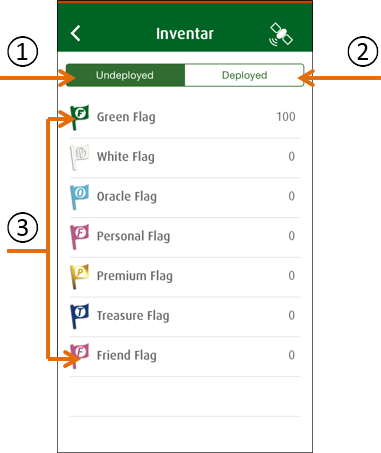 How can I retrieve my kidnapped team flag? If team A has kidnapped the team flag of team B, team B has several options to retrieve their team flag. 1) By capturing any of the team flags of team A (at the flag location), no matter if it is the HQ or an HQ-clone flag. In this case a 15-minute countdown will start for the retrieval of team B’s team flag. At the same time a 60-minute countdown will start for the kidnapping of team A’s team flag (if still present). 2) By using the "Jailbreaker" (for 1,000 credits taken from your own team credits) which will result in the immediate retrieval of the own flag with no opportunity for team A to prevent it. The team flag of team A will not be kidnapped and no countdown will be started. 3) By kidnapping the team flag of team A by team C (any other team flags present will be freed), a 60-minute countdown will start for the kidnapping attempt and the liberation of the other team flags. 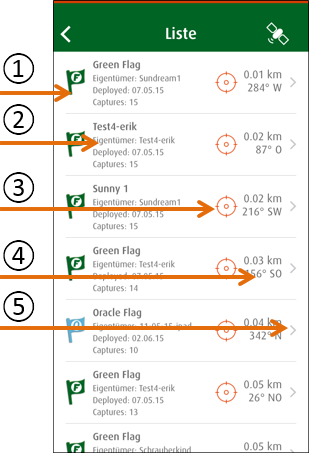 4) By waiting as the team flag will be returned automatically after 168 hours (7 days). How do you receive credits and how many for which task? And how many credits do the in-game items cost? What do the team flags look like on the map? Who will win the team battle? The team battle will be held amongst all participating teams (no matter which faction) - the team with the most credits at the end of the month wins. 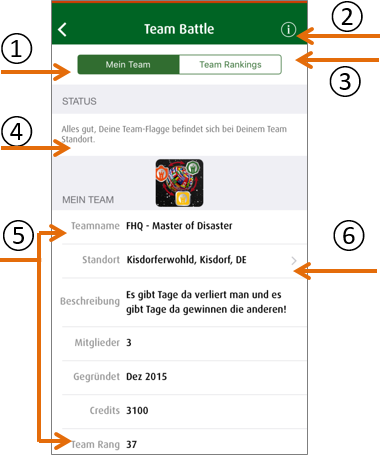 All credits of one team will be paid out to all team members in equal parts at end of month. The next team battle will start again with zero credits for all teams! Only the credit counter of factions will continue giving a different ranking - which faction is currently dominating Flagstack?! 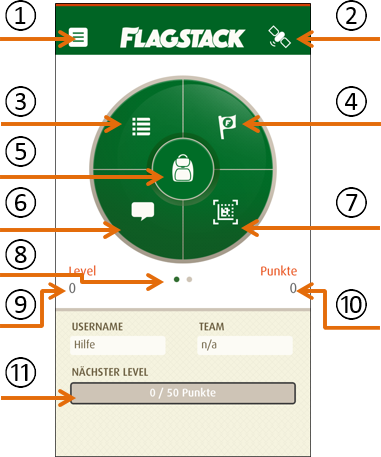 Learning by doing - first of all join a team yourself, kidnap other flags and defend your own - everything else will follow – and please do not hesitate to ask the Flagstack Headquarters Support or the Volunteers for help - we are always available for you and your questions! Also via email or PM on the social networks.